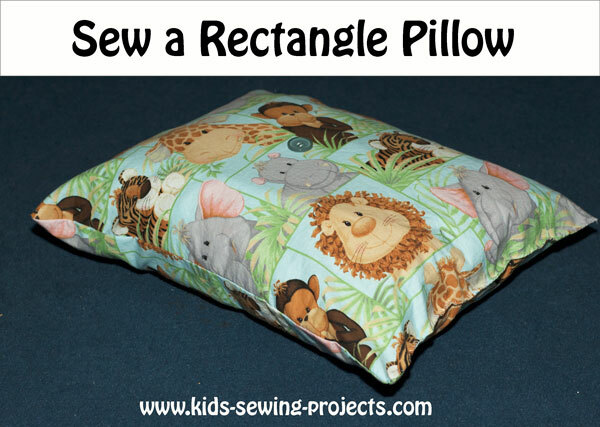 Rectangle Pillow with a button for decoration. 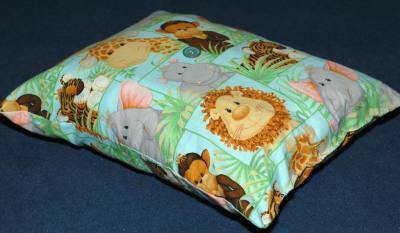 For this Rectangle Pillow you can include a button for decoration for added practice in hand sewing. 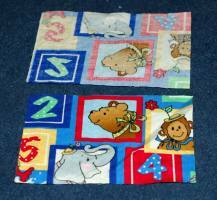 Cut 17x13 rectangles out of the fabric you are using. 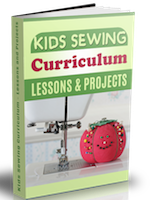 If you cut your material on a folded edge you will only be sewing 2 sides. If you'd like to add a button for decoration sew a button in the middle of one rectangle on the right side. Place right sides together. Example of right side on bottom and wrong sides of material on top. Start in one corner and stitch to the end. Don't forget to do your backward stitch after the first few stitches and at the end. Take off machine and cut the threads. Sew the next side and stitch to the end. Do three sides leaving a short end open. Turn pillow right side out. Stuff with batting or stuffing. 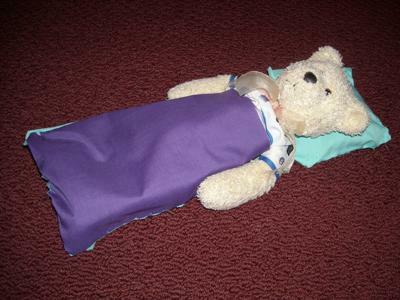 To make a sleeping bag for your Teddy Bear, take a piece of fabric 1-2 inches longer and wider than your bear. Round the corners on one end. 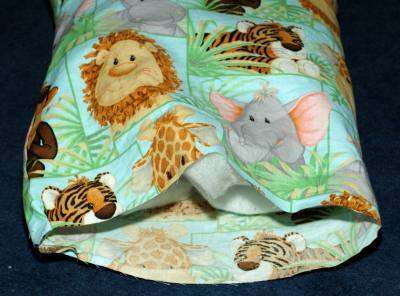 Take another sheet of fabric 1-2 inches shorter than the bear and the same width as the other sheet. Hand sew together. To make a pillow, take 2 sheets of fabric bigger than your bear's head. Hand sew together and stuff with left over fabric. Now you have a pillow and a sleeping bag for sleepovers with friends. 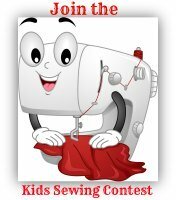 Check our kids sewing projects for more pillow projects. Back to Pre-Beginner Level 2 from Rectangle Pillow project.